Backpacking in Rainy or Cold Weather! The sad truth about so called "breathable" rain jackets is that without air circulation underneath the garment, the fabric just won't breathe. Period. It's simple physics. All breathable fabrics require air circulation under the garment to transport the water through the fabric. This problem affects jackets that rely on venting too. If your backpack is worn on the outside of your rain gear, you won't have air circulation under the garment, and hence no breathability from the fabric or venting from the pit zips. The Packa solves this problem with a simple yet elegant solution keeping you comfortable and your pack dry. The Packa combines the benefits of a rain jacket/pack cover and poncho and eliminates the drawbacks of each.  The Packa is placed on the pack as a pack-cover at first and the jacket section is donned when needed without removing your pack. Huge pit vents, pocket, and dual separating front zipper all function properly and efficiently because they are not under your backpack's shoulder straps, sternum strap and waist belt. The Packa is worn over your backpack rather than under it. This creates the airspace needed for proper ventilation. Once there is airspace, then the large ventilation zips are able to successfully make the exchange of heated and cool air. Breathable fabrics are able to operate as well. The Packa will protect your backpack staps from the inevitable soak-through. If you are a jacket/packcover user, your pack's straps are not protected from the rain. Your straps will be soaked and cold the next morning. Also, rain can run down the hiker's back and into the backpack since that area is unprotected. The backpack completely covered by the Packa avoids these problems entirely. The Packa folds up into its extra large noseeum mesh pocket for storage or use as a pillow. The Packa easily compresses to down to about the size of a softball. The first time I put this on I thought how much of a no brainer can this be? It is such a simple design, but ingenious! The fit and function of the Packa are so well thought out that it almost puts itself on.